(d) try to go it alone and chose something that you think you are not being ripped off with? What should you be looking for? Well, unless you are on a strict budget, the first thing you should be looking for is quality. Does this restaurant have a good selection of quality wines? And if so, are there any such wines that demand attention as being value for money. It has often been said that any fool can produce a list of top Clarets and Burgundies – money no object, but does this constitute a great wine list? There are many places in the world today where great wine is produced and we look to the enterprising restaurateur to produce a list which is quality driven all round, innovative and exciting. Does the restaurant have an interesting selection of half bottles? If so, I, for one, would be delighted to forego a bottle of wine with the meal for three halves! Does the restaurant have an interesting selection of wines by the glass to allow me to experiment? (And I don’t mean the cheapest “House” red and white the proprietor can lay his hands on), nor a selection of pudding wines by the glass, although they are useful, but there is little point in having six sweet wines by the glass and only two dry ones – as we have seen). 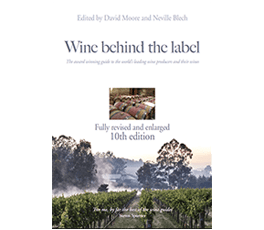 Is the list an easy read, with helpful tasting notes (geared to the cuisine and not to some wine merchant’s blather), or is there a helpful and knowledgeable sommelier to guide you through it? By doing just a little homework before you arrive at the restaurant, you will be enabled to narrow down the choices to just a handful of wines which you know are going to be good value for money (in the context of the list and your budget), which you can then select in accordance with the dishes chosen. You can then go it alone and finalise your choice, or discuss it with the friendly staff, who no doubt will be most impressed with your knowledgeable grasp of their list and confirm your choices without further ado, as well as impressing your guests no end! The tool you need to help you with your homework is, of course, the pdf version of Wine behind the label. So, this is what you do. Choose your restaurant, obviously. See if they have a copy of their wine list online on their website. If they do, then it shows that they care something about wine. Get a general idea of the pricing level to expect. Remember that restaurants mark up anything between two and five times retail prices. Work out in advance what is the maximum you are prepared to pay for a bottle of wine in a restaurant on any particular occasion. If you are hosting the bank manager, it could be, say, £100. If you are hosting your mother-in-law, well it could be £25! Whichever occasion, you should still be looking for value for money. Run through the wine list and pick out some wines that are priced within your budget. Choose a selection of red and white to cover all food matching eventualities. Select half a dozen or so of the wines featured in the wine list which appear to be the best value for money and write them down on a piece of paper which you will take with you to the restaurant. When you get the wine list, quickly check that the wines are still on the list. With the use of computers these days, lists tend to change more frequently than they used to. The likelihood is that there will be vintage changes and more probably price changes, but hopefully not too many de-listings. When your guests have chosen their food, you can confidently make your choice from the wines you have written down, which should considerably shorten the time you have to spend ignoring your guests! Confirm your choices with the sommelier or chief order-taker, or continue to read the list, armed with your copy of Wine behind the label, especially if you find it more interesting than your guests! ★ a wine of good quality, not just sound but of good fruit and with some character. ★★★ a very good, even fine, wine. In the case of many reds repaying lengthy cellaring. ★★★★ a wine of very high quality, among the very best even in a top appellation or region. ★★★★★ outstanding quality, potentially a classic. ✪✪✪✪✪ super 5 stars, restricted to the true classics, out-and-out world class. instance will have a price code of £D. Good value –any five-star wine under £110 in a restaurant is good value. This makes it even better value – our price/quality scale shows that it would be good value to get a four star wine under £75, so this five star wine at £68 is exceptional value. Taking one more example, let’s say your budget is £55 and for that money any 3-star wine would be good value for money. The Harrow at Little Bedwyn lists the 2008 vintage at £58 and the 2011 vintage at £44. The 2011 is very well priced but even the 2008 at £3 over the value limit must be considered as value, particularly as it rates the extra white star. At Tyddyn Llan, the 2013 is listed at £46 and for comparison, another one Michelin star restaurant, The Glasshouse, in the London suburb of Kew, lists the 2014 at £49. On the other hand the 4 star Castello d’Ygay Gran Reserva Especial 2005 at £105 on the Harrow list is definitely NOT good value. Most of the top Bordeaux and Burgundy wines are not good value for money per se, nor are the cult wines from California, Italy and Spain. They are expensive enough to buy retail and should be enjoyed at home in a relaxed atmosphere – I can’t see the point of paying at least 3 times the price in a restaurant unless you really want to show off. 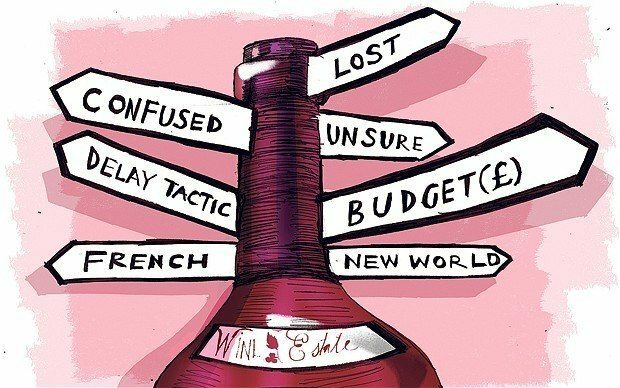 Of course, there are some restaurateurs who just put on a fixed sum over and above cost – especially for the most expensive wines and that is to be commended, but even here prices will rarely meet the price/quality ratio I have outlined above. If you are starting off with a cheeky price from the producer, the restaurateur is already handicapped. Going back to the Tyddyn Llan wine list again – the 4 star Chambolle Musigny “Les Cras” 2009 from Michèle and Patrice Rion at £70 is a good value wine (you could pay up to £75 and it’s still good value), whilst the 3 star Morey Saint Denis 2009 from Domaine Dujac at £89 is clearly way above the £55 you should have been paying for it. But the likelihood is that they paid a lot more for the Dujac than they did for the Rion. It’s a fascinating exercise trying to pick out value for money on a wine list, but when you find it, it’s extremely satisfying to know that the work you have put into it has paid off.